The average IT professional may not view Wi-Fi "Design" as being directly analogous to the inner city drug trade. Yet, when Wi-Fi Professionals go through the process of choosing AP installation locations, they should know what even the most novice B.G. drug dealer knows: that The Corner is also The Trap. When embarking on a Wi-Fi "Design", some things are obvious. Coverage is needed everywhere. 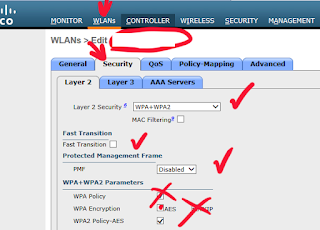 The number of available APs must be appropriate for the number of expected Wi-Fi devices. Physical objects (walls, doors, et al.) should be accounted for. A less obvious part of Wi-Fi "Design" is avoiding Hidden Node problems. The Hidden Node problem occurs when two or more devices on the same channel A) cannot "hear" each other, and B) can interfere with each other. Unfortunately, America has been behind the times in Wi-Fi. No longer! We now have motherf*#king 2.4 GHz channels 12 and 13. This week's big Wi-Fi news was Ekahau's introduction of the Sidekick, an easy-to-carry, laptop battery-conserving device designed to make Wi-Fi site surveying more elegant. Unfortunately, it appears to do more to exacerbate Wi-Fi problems than to solve them. What is the number one problem in enterprise Wi-Fi? It surely can't be security. Security is a hot topic, but Wi-Fi security isn't really a problem anymore. Even security problems that Wi-Fi gets blamed on -- Pineapple hijacking, Wi-Phishing, man-in-the-middle -- either aren't problems for modern devices & applications, or are problems that extend beyond Wi-Fi. Maybe it's user density? Or supporting a variety of devices? Maybe it's connection issues; when moving or when the device is idle for too long? There are times in life when I feel like I've been misunderstood, and I would like to just wish away the communication gap. Unfortunately, there is no Wi-Fi Jambi, so instead I am going to use this short blog post to try to smooth things over with Jussi Kiviniemi, SVP of Ekahau. Jussi Kiviniemi is the public face of Ekahau. He's a Finnish guy and he goes to Wi-Fi conferences, hosts events, is active on Twitter, etc. There are days when I think that Jussi doesn't like me. And being the rugged, pro-American American that I am, I take responsibility for things that happen to me. But while Hank had trouble relating to Wu-Tang member Ghostface Killah, Wi-Fi folks can avoid trouble by being aware of an increasingly common problem, the Ghost Frame Killah. Ghosts, as we all are well aware, are apparitions that can have a detrimental effect on buildings built on Indian burial grounds, while remaining unseen to our earthly eyes. If you have Ghosts, you may need to call a Ghost Bouncer to solve the problem. ...but seeing Cisco's Wi-Fi recommendations for iPhones (and other Apple iOS devices) has led me to wonder whether The Cisco (Kid) is a Friend of Mine. Cisco released a Best Practices doc for supporting iPhones, iPads, et al. back in November. For whatever reason I missed it back then. I'm bringing it up now because Keith Parsons had something about it on his Twitter feed and Ekahau has a webinar coming up on designing a Wi-Fi network for iOS devices. I am happy that Cisco is bringing up the topic of device-centric Wi-Fi design. Wi-Fi is (or, at least, should be) all about the end user, and device-centric design implicitly acknowledges this. I am less happy at several of Cisco's actual recommendations. They seem to have fallen into the trap of believing (or, more perhaps more accurately, leading) the Latest Trendy Wi-Fi Disease, throughputitis. So what you want Wi-Fi engineers and admins to do? To which you might respond, "Duh!" Any networking or Wi-Fi person worth a lick knows that a network should be assessed before (and, in many cases, after) deployment. What is far, far, far less well known is HOW to assess a Wi-Fi installation. Properly assessing a Wi-Fi installation involves two parts: assessing configuration settings and assessing the physical location of access points (APs) and antennas. And if you don't assess both, you'll be making a sucker and you equal.